Since MDA was founded in 1950, life expectancy and quality of life has vastly improved for individuals with neuromuscular diseases. Children and adults are living longer and growing stronger as a result. This is due in large part to the best-in-class, comprehensive care provided to families from a wide variety of health care specialists at MDA Care Centers. MDA Care Center teams consist of health care professionals dedicated to guiding individuals and families through the diagnostic process and — once a diagnosis of a neuromuscular disease is confirmed — helping you take charge of your health care by understanding options for medical treatment and daily management. MDA care and clinical services staff are available to provide support and information, as well as, connect you to community resources that offer additional assistance. If you have questions about what to expect at your first MDA Care Center appointment, don’t hesitate to contact the MDA Resource Center. Many forms of muscular dystrophy and some related neuromuscular disorders have significant effects on the heart — an involuntary muscle controlled by nerves. For this reason, you may find yourself consulting with a cardiologist, a doctor who specializes in heart function. Your neurologist will probably make the referral and should keep in touch with the cardiologist so that any changes in heart function can be discussed and addressed. Nutritional problems can occur in neuromuscular disorders, particularly if swallowing becomes difficult. Sometimes, special diets are suggested if you're taking certain medications, have certain kinds of heart conditions, or are gaining or losing weight abnormally. The professional title for these practitioners is "dietitian," and a registered dietitian uses the initials R.D. The term "nutritionist" is often used in various capacities, but it has no specific meaning; the nutritionist may be a nurse or other professional who has a special interest in nutrition. Many neuromuscular disorders are genetic (which means a condition caused by a change or mutation in a specific gene), so another professional who may help you and your family is the genetic counselor. Genetic counselors provide information and supportive counseling, coordinate genetic testing, answer questions about whether the genetic disease can be inherited and connect families with community resources. This member of the health care team combines counseling skills with a thorough understanding of the medical and scientific aspects of genetics. You can be referred to a genetic counselor through your MDA Care Center. Most MDA Care Centers are directed by neurologists, physicians who specialize in the nervous system and the muscles. Neurologists are interested in the diagnosis and progression of neuromuscular diseases. They also prescribe medications that may be able to treat symptoms or, when possible, the underlying cause of a neuromuscular disorder. They may have experience with other interventions for these disorders, such as surgery, equipment or exercise, but usually these areas aren't their specialty. There are different kinds of nurses who will be critical members of your health care team. The term "registered nurse" (R.N.) means the nurse has had advanced education (usually a college degree) in nursing, including the biological and social sciences, as well as nursing skills and has passed a state licensing exam. The terms "licensed practical nurse" (LPN) and "licensed vocational nurse" (LVN) indicate a less extensive kind of preparation. You may encounter both kinds of nurses in the MDA Care Center or if you or your child should have to stay in the hospital. Also, there are nurses who have an even greater scope of practice than the average R.N. These are known as nurse clinicians and nurse practitioners, and both have specialized, advanced education and act independently or nearly independently in the health care system. Nurse practitioners and clinicians generally have a specialty, such as neurology or respiratory care, but their focus is slightly different from that of doctors in the same specialty. The emphasis is on health maintenance and on helping people make the best use of their abilities and resources, rather than strictly on diagnosis and treatment. It’s likely that you’ll encounter nurse clinicians and nurse practitioners at some point in your or your loved one’s health care. Doctors specializing in orthopedics concern themselves with the bones and joints and their associated structures, such as the muscles and tendons attached to the bones. Bones usually aren't directly affected by neuromuscular disorders, but they do show the secondary effects of prolonged muscle weakness. Muscles around joints can become "contracted" — fixed in a particular position — and bracing, exercise and sometimes surgery can be helpful in avoiding or minimizing contractures. The spine also can be moved out of its normal alignment by muscle weakness. In some cases this condition, known as scoliosis, may need surgical correction. Orthopedists act as consultants for these types of problems. Orthopedics is a surgical specialty, and you likely will hear the term "orthopedic surgeon" in reference to these physicians. Neuromuscular disorders have obvious effects on muscle function and, therefore, on many activities of daily living that require mobility. Almost every ordinary activity — eating a meal, taking a bath or shower, using the toilet, using a computer, driving a car — can be affected by weakening muscles. Most of these activities can be maintained — although in a modified form — with the help of physical and occupational therapy. Generally, physical therapists deal with the large muscles and with physical strength and endurance, while occupational therapists deal more with smaller muscles and the ability to perform skilled tasks. You may encounter both physical and occupational therapists as part of your medical management strategy for neuromuscular disease, as there’s often overlap in these two fields. You can be referred for therapy through your MDA Care Center. If you decide to pursue these therapies outside of the MDA Care Center, it’s important to ensure the therapist you’re seeing is familiar with your neuromuscular disease diagnosis. The goals and types of exercises recommended will differ for someone living with progressive neuromuscular disorders, as will recommendations for assistive devices and mobility aids. A physical therapy consultation is critical to evaluate the need for physical therapy, and instruct family members and others on how to administer prescribed exercises. Physical therapy can keep still-healthy muscles functioning, help you maintain independence; and prevent the onset of painful muscle contractures. Occupational therapy enables people to make maximum use of their physical capabilities through the use of strategies and techniques, and daily living aids in the home and work environments. 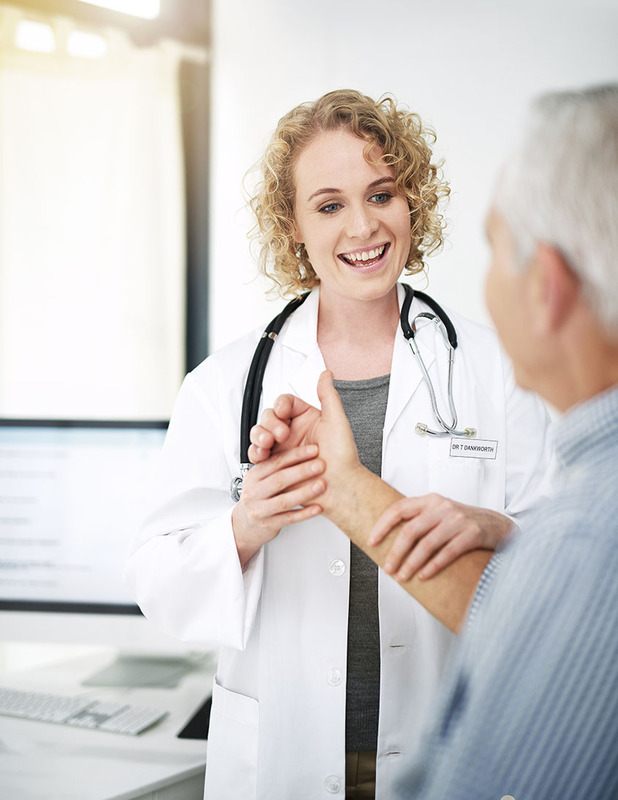 Neuromuscular disorders are no protection against common illnesses — such as ear infections and chicken pox in children, or high blood pressure, diabetes and cancer in adults — so you'll want to have a primary care doctor as well as specialists of various kinds. As an adult, you can choose an internist or family practitioner. For a child, you may want to choose a pediatrician, family practitioner or adolescent medicine specialist. Pediatricians and adolescent medicine specialists are particularly sensitive to a child's general growth and development, and can help a child through the difficulties of having a chronic disorder. For some, problems and challenges associated with progressive disability can lead to depression or other psychological distress; in these cases, a referral to a psychiatrist may be appropriate. Psychiatrists are medical doctors and, as such, they prescribe medications (for example, antidepressants) and other treatments for mental and emotional conditions. They also can talk with you to help put problems in a more helpful perspective. There are other kinds of mental health professionals, such as social workers, psychologists and mental health nurse practitioners. There are many issues raised by the presence of a chronic disorder in any family, and psychologists may be the right professionals to help sort them out. Psychologists aren't medical doctors, so they don't prescribe medications or other types of medical interventions. They generally have a master's or doctoral degree, and their focus is somewhat different from that of medical doctors. Like nurses and nurse practitioners, psychologists tend to see the person and the family in the framework of maximizing strengths and minimizing weaknesses, rather than focusing on the diagnosis and treatment of mental disorders. But, as always, there’s considerable variation in the practices of these professionals, and overlap between their efforts and those of related mental health professionals. Muscles that move the limbs and trunk, and the nerves that control these muscles, are obviously affected in neuromuscular disorders. Muscles and nerves that control breathing also may be affected. Pulmonologists are physicians who specialize in disorders of the lungs and structures associated with the lungs, such as the muscles that control breathing. These physicians are valuable members of the health care team for anyone with a neuromuscular disorder. They generally work closely with respiratory therapists. Cardiac and respiratory problems are often "silent" and can sometimes go undetected until they're very far advanced. In many neuromuscular disorders, it's a good idea to have baseline evaluations of cardiac and pulmonary functioning at the time of diagnosis and to have frequent checkups thereafter. Respiratory therapists can help develop an approach to supplementing the functions of weakening respiratory muscles with monitoring and testing, devices that augment the efforts to cough and clear secretions from the respiratory tract, and devices to increase ventilation (the movement of air into and out of the lungs). Respiratory therapists are a crucial part of your MDA Care Center team. You may be introduced to social workers at many points in your health care journey. You're most likely to meet medical social workers and clinical social workers. Both are highly trained professionals, usually with master's degrees in their fields. Medical social workers found in hospitals and clinics generally focus on the practical aspects of coping with illness and disability, such as insurance reimbursement issues and other financial problems, equipment and housing needs, transportation and home care. They're also trained in counseling techniques. Clinical social workers function more specifically as counselors, dealing, for example, with the psychosocial issues raised by disability. There is, of course, considerable overlap in the functions of these two kinds of social workers. In the modern health care facility, social workers generally cover a specific section of the hospital, such as outpatient clinics, inpatient areas and home care. Some neuromuscular disorders have a direct impact on speech because they weaken the muscles involved in speaking, and many such disorders affect swallowing. Speech-language pathologists are the professionals who attend to muscle weakness that affects speech and swallowing. New imaging techniques have made diagnosis of mouth and throat weakness much more effective, and these professionals can perform tests to evaluate your degree of weakness. Electronic devices can help with speaking, and various techniques, including changes in diet, can help with swallowing. This specialty therapist plays an important role in the care of neuromuscular disease.